Running a business is expensive, and if you’re a sole trader or only have a small team, it’s natural to keep costs down by doing everything yourself, including IT support. However, if you or one of your staff is managing the IT as well as their other duties, that will have an impact on their efficiency and productivity and slow down business growth. The tech support may not have the level of skill and expertise needed to support your business needs. On the other hand, recruiting an IT expert to work internally can be a slow and costly process. There is a shortage of skilled workers in the field, and, due to their level of knowledge, will demand a high salary. You also need to keep their training up to date. Your software or hardware might be out of date, not be compatible with other tools you’re using or not work as well as it should. You need an IT company to give you the best computer support they can so your tech doesn’t slow you down. The cost of having outside help is a deterrent to business owners in all areas, not just IT, but it’s arguable that looking after your systems is the most important thing, because, without it, your business couldn’t run. Save yourself headaches in the future by finding good IT technical support now. Here are 10 reasons why you should outsource. You have a legal requirement to keep your data backed up. If you’re relying on free cloud backup or your own, small server, you risk losing everything if there’s a security breach. An IT services company will have the capacity to deal with all of your data. You’re at risk of a cyber-attack or ransomware you can’t deal with. Ransomware or other malware can end up on your computer through simple human error, especially when it looks genuine. Once it’s there, it can be hard to get rid of, if you notice it at all. You don’t have time to fix a problem yourself. You’ve got a business to run and customers to keep happy. You can’t take time out of your busy schedule to deal with an unexpected IT problem. You’re not aware of the latest updates. Software and online programmes are changed and improved all the time and it’s impossible for the average business to keep track of them. IT is not your strength. You’re not running an IT company, so you’re unlikely to be an IT specialist. The time you might spend trying to learn how to protect your data and fix issues could be put to better use. You don’t know how to respond when the worst happens. If there’s a server error or a security breach, the chances are this is the first time it’s happened to you, so you don’t know what to do. An external IT support company has a wealth of experience when it comes to disasters, so let them fix things for you. You don’t want to fix things in the middle of the night. Unfortunately, hackers don’t take the evening off. Problems can and do happen late at night or at weekends. 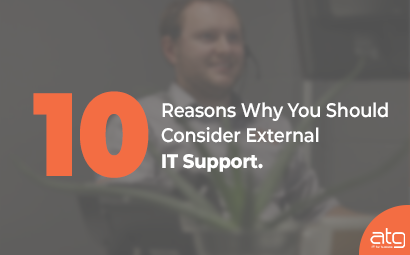 External IT technical support means someone is always available to work on a problem, and can often do that remotely. You can’t spot problems arising. A good IT company will be constantly monitoring your systems for you, and if it looks like there’s going to be an issue, they can prevent it from happening or fix it before you even realise it came up. Your server or online storage facility doesn’t have the capacity. Many people assume that a free or low-cost cloud storage solution will be sufficient to host all their data, or that they can have an onsite server to hold everything. However, as more information is online or digital, you need a lot more space than you think. Having an external IT support services company shows your existing and potential customers that you’re professional and serious about protecting their data as well as your own. With the new GDPR (General Data Protection Regulations) legislation introduced in the UK and Europe last year, it’s more important than ever to show that you’re being careful. 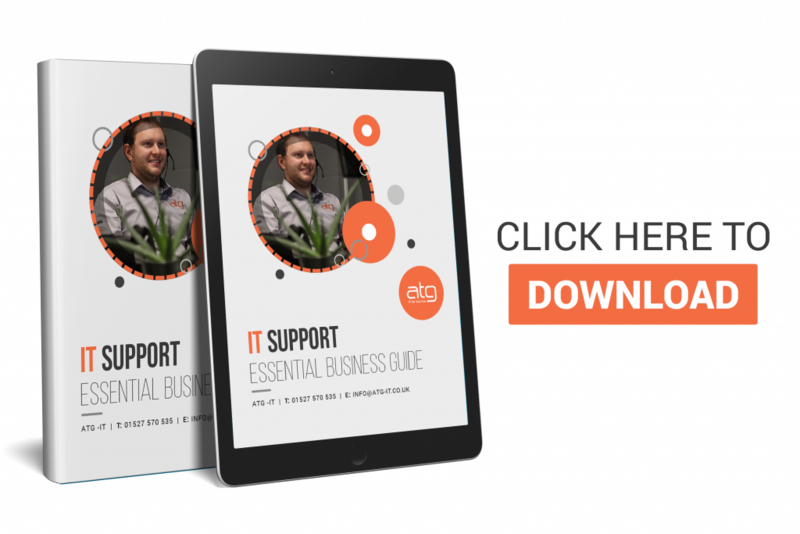 Download our FREE, handy guide about IT Support for SMBs to learn more about how your business can benefit from an IT services company.